Zhang L et al. al. (March 2018). Inhibition of DNMT suppresses the stemness of colorectal cancer cells through down-regulating Wnt signaling pathway Cellular Signaling. George AK al. (March 2018). Exercise Mitigates Alcohol Induced Endoplasmic Reticulum Stress Mediated Cognitive Impairment through ATF6-Herp Signaling. Sci Rep. 8(1):5158. Shahid M al. (March 2018). Alpha-oxoglutarate inhibits the proliferation of immortalized normal bladder epithelial cells via an epigenetic switch involving ARID1A. Sci Rep. 8(1):4505. Li W al. (December 2017). Curcumin Derivative Epigenetically Reactivates Nrf2 Antioxidative Stress Signaling in Mouse Prostate Cancer TRAMP C1 Cells. Chem Res Toxicol. Nanduri J al. (November 2017). DNA methylation in the central and efferent limbs of the chemo reflex requires carotid body neural activity. J Physiol. Carden T al. (October 2017). Epigenetic modification of miR-663 controls mitochondria-to-nucleus retrograde signaling and tumor progression. J Biol Chem. Fu S al. (September 2017). 5-Aza-2'-deoxycytidine induces human Tenon's capsule fibroblasts differentiation and fibrosis by up-regulating TGF-β type I receptor. Exp Eye Res. Wirbisky-Hershberger SE al. (August 2017). Atrazine exposure decreases the activity of DNMTs, global DNA methylation levels, and dnmt expression. Food Chem Toxicol. Li Y al. (August 2017). Combinatorial bioactive botanicals re-sensitize tamoxifen treatment in ER-negative breast cancer via epigenetic reactivation of ERα expression. Sci Rep. 7(1):9345. Li al. (August 2017). Effects of dietary l-methionine supplementation on the growth performance, carcass characteristics, meat quality, and muscular antioxidant capacity and myogenic gene expression in low birth weight pigs J. Anim. Sci..
Xu Y al. (July 2017). Intracellular adenosine regulates epigenetic programming in endothelial cells to promote angiogenesis.EMBO Mol Med. Xu H al. (May 2017). DNMT1 regulates IL-6- and TGF-β1-induced epithelial mesenchymal transition in prostate epithelial cells. Eur J Histochem. 61(2):2775. Yin J al. (April 2017). Acylamino acid chiral fungicides on toxiciepigenetics in lambda DNA methylation. Food Chem Toxicol. Ignácio ZM al. (March 2017). Quetiapine treatment reverses depressive-like behavior and reduces DNA methyltransferase activity induced by maternal deprivation. Behav Brain Res. 320:225-232. Fan Yang al. (December 2016). Casticin inhibits the activity of transcription factor Sp1 and the methylation of RECK in MGC803 gastric cancer cells Experimental and Therapeutic Medicine. 13(2):745-750. Sanchez OF al. (December 2016). Lead (Pb) exposure reduces global DNA methylation level by non-competitive inhibition and alteration of dnmt expression. Metallomics. Herencia C al. (June 2016). Procaine Inhibits Osteo/Odontogenesis through Wnt/β-Catenin Inactivation. PLoS One.11(6):e0156788. Wijenayake S al. (February 2016). The role of DNA methylation during anoxia tolerance in a freshwater turtle (Trachemys scripta elegans). J Comp Physiol B.
Poh WJ al. (January 2016). DNA Methyltransferase Activity Assays: Advances and Challenges Theranostics. 6(3):369-391. Sun R al. (November 2015). Deoxyribonucleic acid (DNA) methyltransferase contributes to p16 promoter CpG island methylation in lung adenocarcinoma with smoking Int J Clin Exp Med. 8(9):15773-15779. Naselli F al. (October 2015). Phytochemical Indicaxanthin Inhibits Colon Cancer Cell Growth and Affects the DNA Methylation Status by Influencing Epigenetically Modifying Enzyme Expression and Activity. J Nutrigenet Nutrigenomics. 8(3):114-27. Pushpakumar S al. (July 2015). DNA hypermethylation in hyperhomocysteinemia contributes to abnormal extracellular matrix metabolism in the kidney. FASEB J.
Li JJ al. (June 2015). Homocysteine Triggers Inflammatory Responses in Macrophages through Inhibiting CSE-H2S Signaling via DNA Hypermethylation of CSE Promoter. Int J Mol Sci. 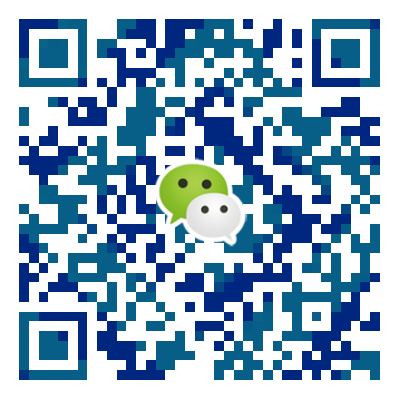 16(6):12560-12577. Pathania R al. (April 2015). DNMT1 is essential for mammary and cancer stem cell maintenance and tumorigenesis. Nat Commun. 6:6910. Zeng F al. (March 2015). Dynamic change of DNA methylation and cell redox state at different micropropagation phases in birch. Trees. :1-14. Ishikawa K al. (February 2015). Long-term pancreatic beta cell exposure to high levels of glucose but not palmitate induces DNA methylation within the insulin gene promoter and represses transcriptional activity. PLoS One. 10(2):e0115350. Bian Y al. (February 2015). Epigenetic Regulation of miR-29s Affects the Lactation Activity of Dairy Cow Mammary Epithelial Cells. J Cell Physiol. Cho SH al. (January 2015). SIRT1 deficiency in microglia contributes to cognitive decline in aging and neurodegeneration via epigenetic regulation of IL-1β. J Neurosci. 35(2):807-18. Cheng C al. (December 2014). 'Default' generated neonatal regulatory T cells are hypomethylated at conserved non-coding sequence 2 and promote long-term cardiac allograft survival. Immunology. 143(4):618-30. Zhang S al. (December 2014). The Effect of Hypoxia Preconditioning on DNA Methyltransferase and PP1γ in Hippocampus of Hypoxia Preconditioned Mice. High Alt Med Biol. 15(4):483-90. Cardenas H al. (November 2014). TGF-β induces global changes in DNA methylation during the epithelial-to-mesenchymal transition in ovarian cancer cells. Epigenetics. Chen S al. (November 2014). Identifying Novel Selective Non-Nucleoside DNA Methyltransferase 1 Inhibitors through Docking-Based Virtual Screening. J Med Chem. 57(21):9028-41. Choi YW al. (November 2014). B-RafV600E inhibits sodium iodide symporter expression via regulation of DNA methyltransferase 1. Exp Mol Med. 46:e120. Wang L al. (November 2014). Blocking of JB6 Cell Transformation by Tanshinone IIA: Epigenetic Reactivation of Nrf2 Antioxidative Stress Pathway. AAPS J. 16(6):1214-25. Pudenz M al. (October 2014). Impact of soy isoflavones on the epigenome in cancer prevention. Nutrients. 6(10):4218-72. Zhu Y al. (September 2014). Placental mesenchymal stem cells of fetal origin deposit epigenetic alterations during long-term culture under serum-free condition. Expert Opin Biol Ther. :1-18. Lai J al. (August 2014). Transcriptional regulation of the p73 gene by Nrf-2 and promoter CpG methylation in human breast cancer. Oncotarget. 5(16):6909-22. Wang J al. (July 2014). MicroRNA-152 Regulates DNA Methyltransferase 1 and Is Involved in the Development and Lactation of Mammary Glands in Dairy Cows. PLoS One. 9(7):e101358. Sakharkar AJ al. (June 2014). Effects of acute ethanol exposure on anxiety measures and epigenetic modifiers in the extended amygdala of adolescent rats. Int J Neuropsychopharmacol. :1-11. Scola G al. (April 2014). Lithium reduces the effects of rotenone-induced complex I dysfunction on DNA methylation and hydroxymethylation in rat cortical primary neurons. Psychopharmacology (Berl). Park J al. (April 2014). Hepatitis C virus represses E-cadherin expression via DNA methylation to induce epithelial to mesenchymal transition in human hepatocytes. Biochem Biophys Res Commun. 446(2):561-7. Chaturvedi P al. (April 2014). Differential regulation of DNA methylation versus histone acetylation in cardiomyocytes during HHcy in vitro and in vivo: an epigenetic mechanism. 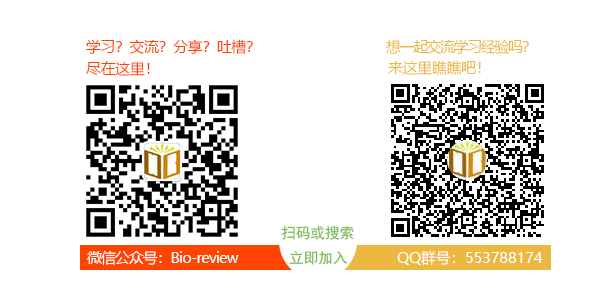 Physiol Genomics. 46(7):245-55. Lin N al. (April 2014). Homocysteine induces cytotoxicity and proliferation inhibition in neural stem cells via DNA methylation in vitro. FEBS J. 281(8):2088-96. Wu J al. (March 2014). Kaposi's sarcoma-associated herpesvirus (KSHV) vIL-6 promotes cell proliferation and migration by upregulating DNMT1 via STAT3 activation. PLoS One. 9(3):e93478. Wang Y al. (March 2014). Ras-induced epigenetic inactivation of Ras-related associated with diabetes gene (RRAD) promotes glucose uptake in a human ovarian cancer model. J Biol Chem. Zhang X al. (February 2014). Regulation of DNA methylation by ethanol induces tissue plasminogen activator expression in astrocytes. J Neurochem. 128(3):344-9. Muren NB al. (November 2013). Electrochemical assay for the signal-on detection of human DNA methyltransferase activity. J Am Chem Soc. 135(44):16632-40. Liao W al. (November 2013). Enhancing bone marrow regeneration by SALL4 protein. J Hematol Oncol. 6:84. Lee H al. (August 2013). DNA methyltransferase inhibitor assay system based on the HBx-induced DNA methylation of E-cadherin. Biochem Biophys Res Commun. 438(3):540-5. Williams-Karnesky RL al. (August 2013). 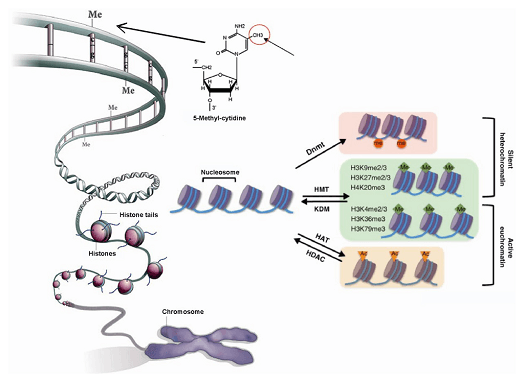 Epigenetic changes induced by adenosine augmentation therapy prevent epileptogenesis. J Clin Invest. 123(8):3552-63. Chen Z al. (July 2013). Epigenetic regulation of cardiac progenitor cells marker c-kit by stromal cell derived factor-1α. PLoS One. 8(7):e69134. Yara S al. (May 2013). Total parenteral nutrition induces sustained hypomethylation of DNA in newborn guinea pigs. Pediatr Res. 73(5):592-5. Kauntz H al. (April 2013). Epigenetic effects of the natural flavonolignan silibinin on colon adenocarcinoma cells and their derived metastatic cells. Oncol Lett. 5(4):1273-1277. Gao F al. (October 2012). Differential DNA methylation in discrete developmental stages of the parasitic nematode Trichinella spiralis. Genome Biol. 13(10):R100. Tewari S al. (July 2012). Mitochondria DNA replication and DNA methylation in the metabolic memory associated with continued progression of diabetic retinopathy. Invest Ophthalmol Vis Sci. 53(8):4881-8. Yang J al. (January 2012). Stem cell gene SALL4 suppresses transcription through recruitment of DNA methyltransferases. J Biol Chem. 287(3):1996-2005. Yiming Xu al. (July 2017). Intracellular adenosine regulates epigenetic programming in endothelial cells to promote angiogenesis EMBOpress Molecular Medicine. Wu Z al. (June 2017). 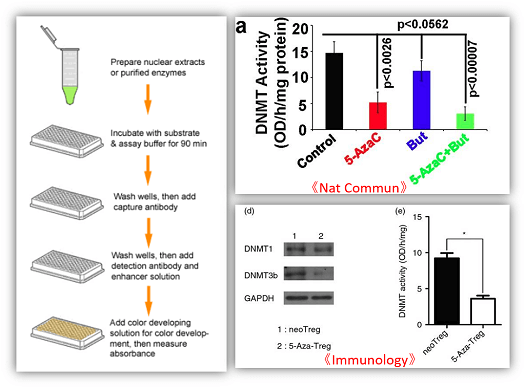 Ultraviolet B inhibition of DNMT1 activity via AhR activation dependent SIRT1 suppression in CD4+ T cells from systemic lupus erythematosus patients. J Dermatol Sci. 86(3):230-237. Nugent BM al. (May 2015). Brain feminization requires active repression of masculinization via DNA methylation. Nat Neurosci. 18(5):690-7. Olsvik PA al. (July 2014). Impact of dietary selenium on methylmercury toxicity in juvenile Atlantic cod: A transcriptional survey. Chemosphere. 120C:199-205. Dunn J al. (May 2014). Flow-dependent epigenetic DNA methylation regulates endothelial gene expression and atherosclerosis. J Clin Invest. Zhang D al. (October 2012). Homocysteine activates vascular smooth muscle cells by DNA demethylation of platelet-derived growth factor in endothelial cells. J Mol Cell Cardiol. 53(4):487-96.